It’s mid-May and Melbourne’s Winter has finally come. We’ve been housebound and freezing our collective butts off for the last week, with day after day of dreary rainy weather. I’ve made outdoorsy Mother’s Day plans, though, and I’ve been stressing all week that they’ll be a complete disaster. So you can imagine our delight when we awake on Sunday to clear blue skies. Our day trip is all systems go so we head for Arthurs Seat on the Mornington Peninsula, a bit over an hour from Melbourne. Arthurs Seat is the most prominent feature of the Mornington Peninsula landscape, with its summit standing 314 metres above sea level. 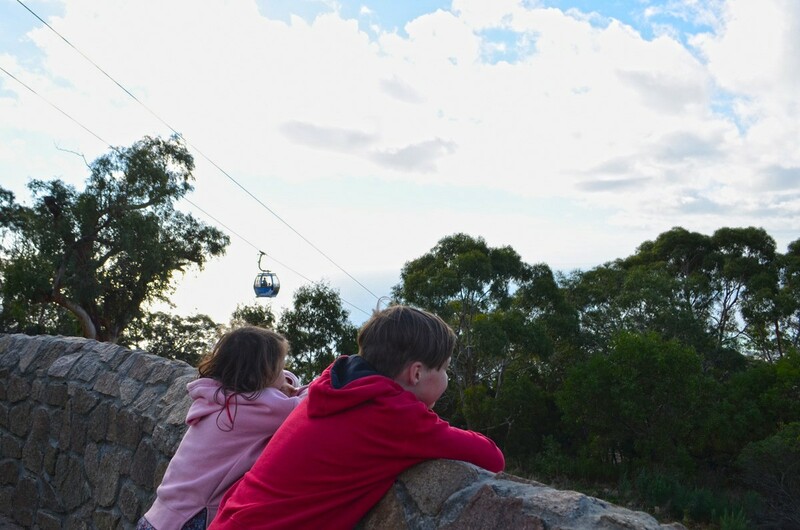 Arthurs Seat State Park covers most of the mountain and it boasts features and activities for everyone, including walking trails, mountain bike trails and the Arthurs Seat Eagle Skylift. “I’m so scared,” cries our little Fairy Princess, “but don’t worry. I’m gonna be brave”. The three of us reassure her and congratulate her on her courage. 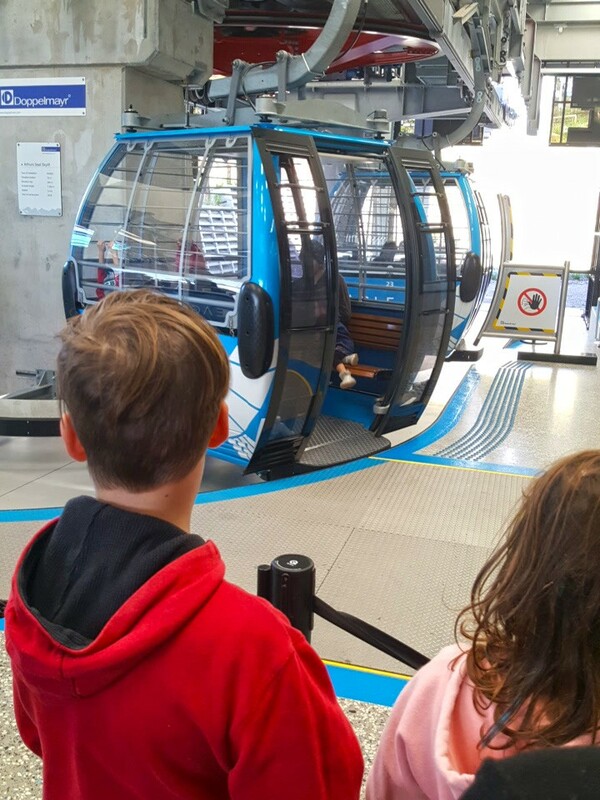 We have a chuckle but we’re at the front of the line and are greeted by a friendly staff member who helps us board our gondola. The doors automatically slide closed and we very slowly start the ascent. Soon we’re above the trees and dangling our way to the top. The kids are beside themselves with excitement and before we even hit the halfway point, all four of us are letting out a chorus of “Woah” and “how cool is that! 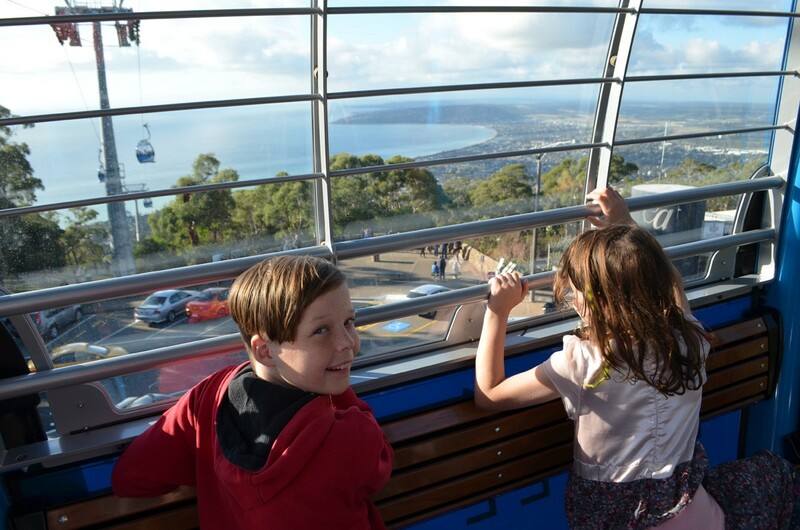 ?” The views across Port Philip Bay are to die for and naturally keep getting better as we near the Summit Station, but the kids are enjoying looking down at the park, animal spotting and watching the people below. The ride takes about 14 minutes, but we’d be happy if it took twice as long. Soon we’re at the Summit Station and we’re glad we’ll be riding back down at the end of the day. We grab a drink from the café, rug up again and head outside to see what Arthurs Seat State Park has to offer. The old Arthurs Seat Chairlift operated here from 1960 until 2006. This is what it looked like. I think I prefer the gondola design. Opening Hours: Vary greatly depending on the time of year. Please see the Eagle website for full details. 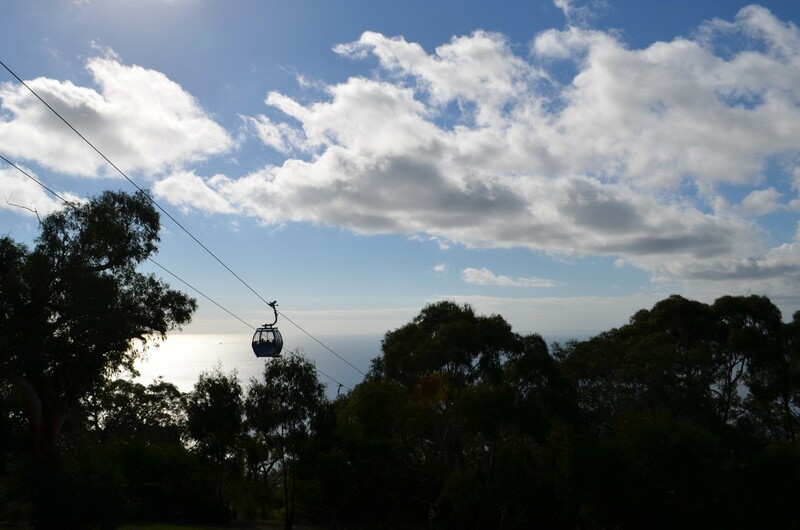 Car Access: You can start your ride at either the Base Station or Summit Station, both of which are on Arthurs Seat Road. Access from Melbourne is via Peninsula Link (M11), turning off when you see the signs for Arthurs Seat. The trip from Melbourne takes 1 – 1.5 hours, depending which part of Melbourne you’re coming from. 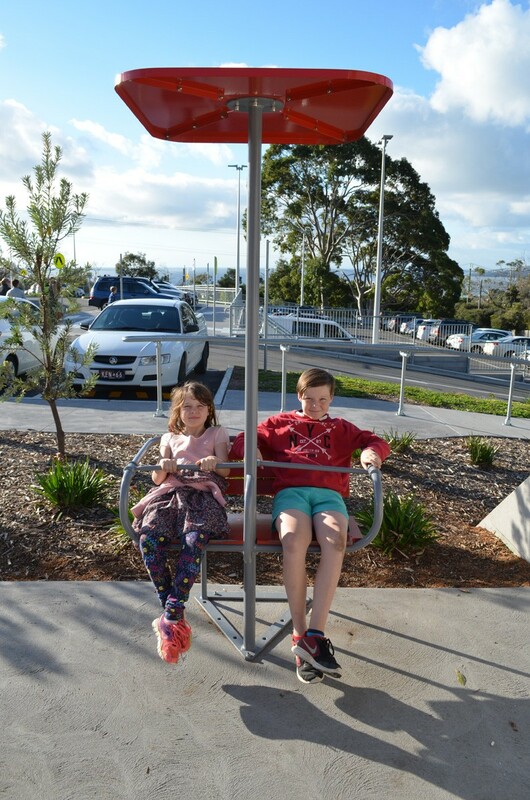 Public Transport Access: From Melbourne, take the Frankston train line to Frankston Station and then the the Portsea Passenger Service (Bus #788) to the Dromana Visitor Information Centre. From here it’s a 15-minute walk to the Base Station. Tickets: Tickets can be ordered online here. They don’t take booking for specific times so just choose your day and arrive when you’re ready to ride. Food: The Base Station is equipped with a kiosk serving drinks and a small selection of food. We had some delicious sausage rolls from here and I enjoyed a Beef Burgundy Pie which was one of the most delicious pies I’ve ever had the pleasure to sample. The Summit Station is home to the Eagle Cafe, which offers a full selection of food and drinks. Lori was happy with her scones and jam with cream and the kids loved their hot chips. We weren’t bothered by the prices at the kiosk but at the cafe, it wasn’t a cheap stop. 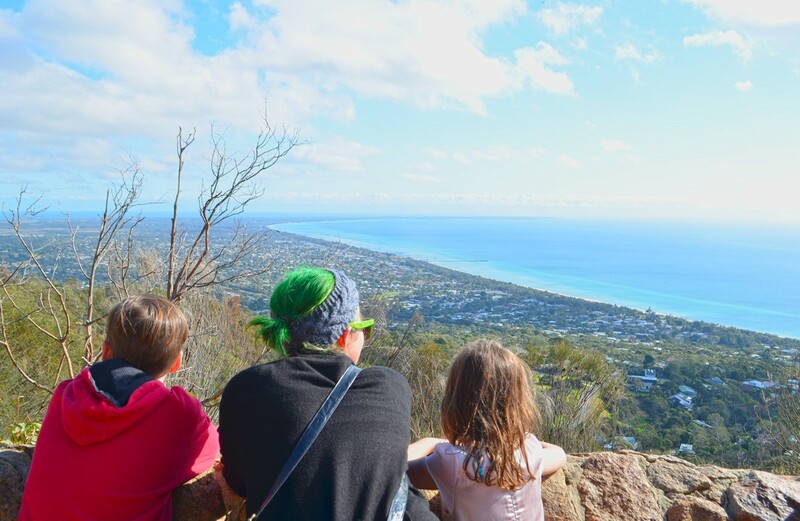 Our first stop is the Arthurs Seat Summit lookout, less than 50 metres from the Summit Station. 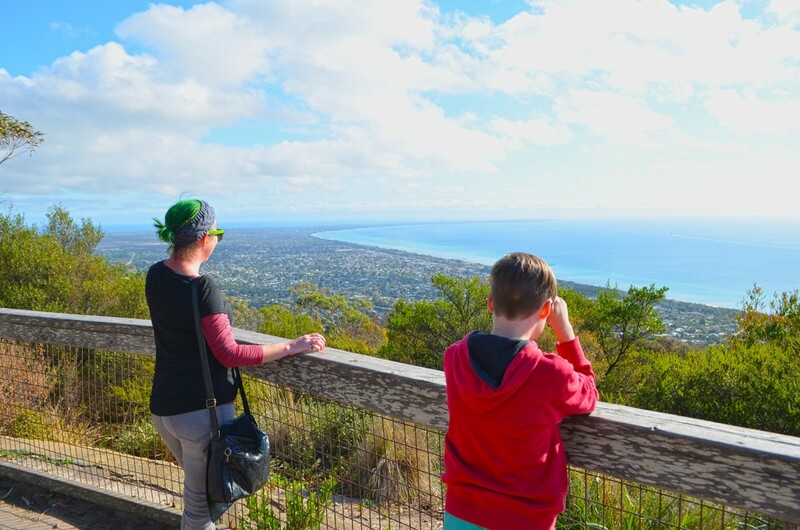 The views of the Mornington Peninsula and Port Phillip Bay from up here are like nowhere else. On a clear day, you can see as far as the city skyline, the You Yangs and Mount Macedon. Today is less clear but we can see the faint outline of the city skyline in the distance. The kids are fascinated at how far away it seems. Next, we backtrack to the Arthurs Seat Circuit Walk trailhead, opposite the Eagle Summit Station, to start exploring. The kids have a whinge as we start the trail, as they always do. “1.8 kilometres? I didn’t know that was part of the plan,” The Chop complains. “One of the last hikes we did was over 10 kilometres, guys. You haven’t got a leg to stand on,” I laugh. “It’s Mother’s Day,” Lori adds. Thankfully that’s enough to put a stop to the whinging. Following the handy map that we grabbed from the Summit Station and the well-signed trails, we spend the next hour checking out all the most popular features of the park. 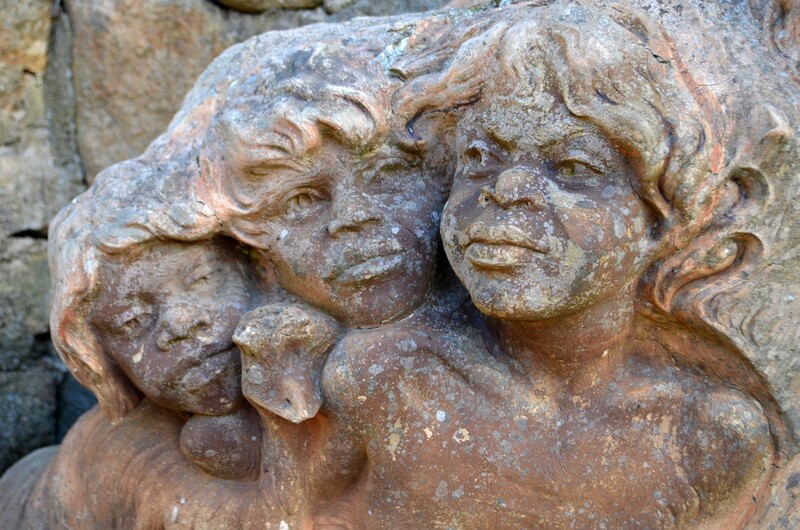 Soon we find the gorgeous sculptures by William Ricketts, set into a rock retaining wall alongside the trail. Having taken the kids to William Ricketts Sanctuary in the Dandenong Ranges last year, the Fairy Princess recognises his sculptures straight away. Being the budding artist she is, this is the highlight of her day, so we follow the wall along and get to hear her thoughts on each of the five sculptures. The rest of the circuit takes in most of the park’s major lookouts, the gorgeous Seawinds Gardens, a duck pond, and an indigenous garden run by local volunteers. It hasn’t been much more than an hour when we find ourselves back at the Summit Station to make our way back to the car. 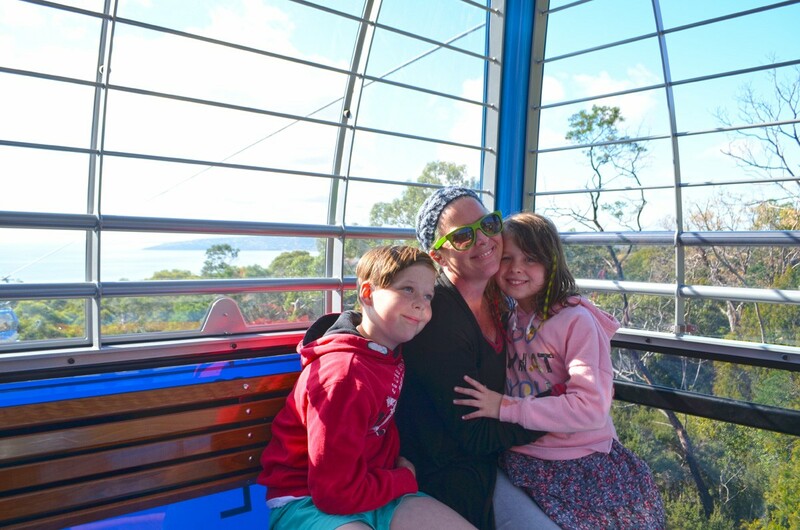 We’re sad our day-trip is nearly over but grateful that we get to ride the Arthurs Seat Eagle again. 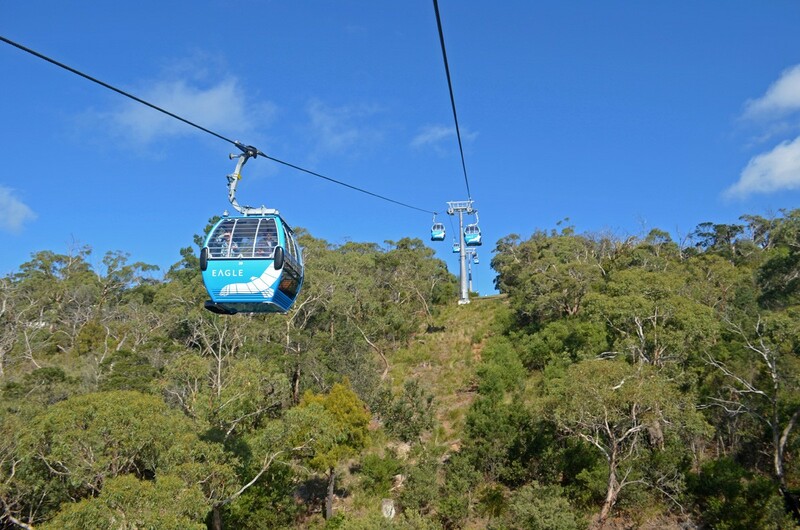 Access: The trailhead is directly opposite the Arthurs Seat Eagle Summit Station. See above for directions to the summit station. Map: The trail is covered in Parks Victoria’s Arthurs Seat State Park Visitor Guide but there’s also a rough map you can grab from the Arthurs Seat Eagle Summit Station. Further Info: While neither map is particularly high quality, this trail and all the others in the park are well signed. You’re unlikely to get lost. Arthurs Seat State Park is home to quite a few walking tracks, all of which are worth a visit. Though I haven’t walked most of them, they appear to be some of the best that the Mornington Peninsula has to offer. Keep reading for a summary but scroll down to the “Need to Know” section for full details of each trail. 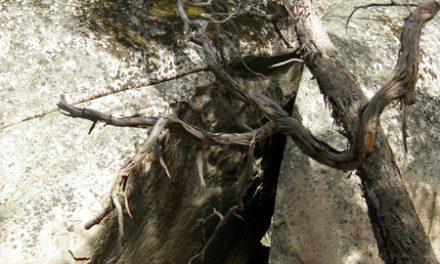 Aside from the Arthurs Seat Circuit Walk (above), there’s only one other option starting from near the Arthurs Seat Eagle – TC McKellar Circuit Walk. This circuit trail officially starts from the information shelter at Seawinds Gardens but is well signed from the Arthurs Seat Eagle Summit Station. Though it’s a short, gently undulating and easy-to-follow track, it’s your best hope of getting away from the crowds of people that frequent the circuit walk, without going too far. 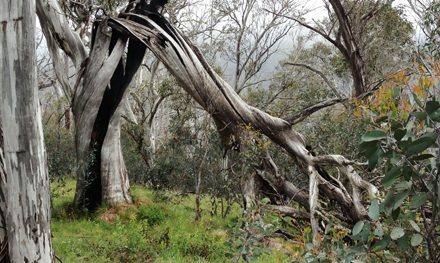 Compared to the Arthurs Seat Circuit Walk, it’s also a much better representation of Australian native bushland. In a separate section of Arthurs Seat State Park, east of the aforementioned tracks, lies OT Dam. The OT Company initially grew tomatoes in the area to be transported to Prahran and made into sauce, but was later the source of passionfruit for cordials and soft drinks. They used the dam for irrigation and it was constructed using horse-drawn scoops. 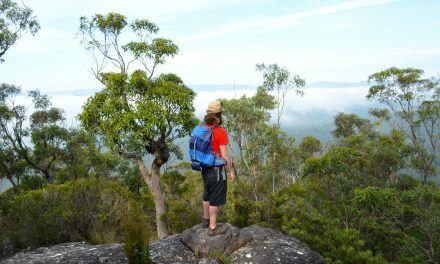 This short walking trail is through tranquil Eucalypt bushland on well-formed trails. A boardwalk circles the dam itself. It’s well sign-posted and easy to follow. Since Kings Falls is the feature of this walk, it’s disappointing that it’s barely a trickle for most of the year. If you can visit after extended periods of heavy rain it will be much more impressive, but the waterfall isn’t the only reason to visit this section of Arthurs Seat State Park. The cool temperate rainforest that you’ll explore on the way will make it worth trying your luck on the falls. You’ll have a much better chance of spotting wildlife here since you’re away from the crowds of people around the summit. Map: The trail is covered in Parks Victoria’s Arthurs Seat State Park Visitor Guide but there’s also a rough map you can grab from the Arthurs Seat Eagle Summit Station that will guide you to the trailhead and, once there, the trail is easy to follow. Grade: Easy-Moderate / Grade 3 (according to the Australian Walking Track Grading System). Access: Though there are a couple of access points to OT Dam, the best is via a small carpark on Arthurs Seat Road, just west of its intersection with Main Creek Road. Access from Melbourne is via Peninsula Link (M11), turning off when you see the signs for Arthurs Seat. Continue past the Arthurs Seat Eagle to a carpark on your left. 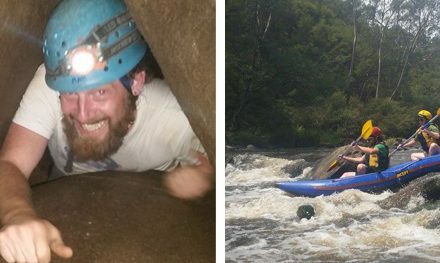 If you reach Main Creek Raod, you’ve obviouly gone too far. Map: The trail is covered in Parks Victoria’s Arthurs Seat State Park Visitor Guide. Grade: Easy – Moderate / Grade 3 (according to the Australian Walking Track Grading System). Access: Access from Melbourne is via Peninsula Link (M11), turning off at Jetty Rd (about 5 km after the Arthurs Seat turnoff). After about a kilometre, turn left onto Old Cape Schacnk Rd and then right onto Waterfall Gully Road. The Kings Falls Carpark is on your left after about 3.5 km. 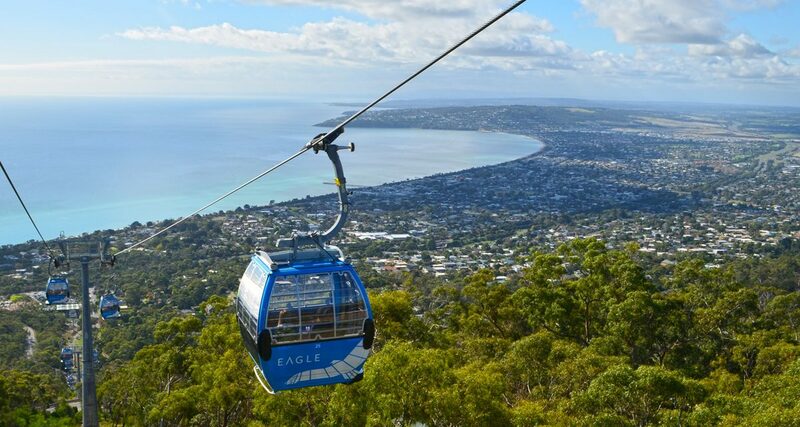 Have you ridden the Arthurs Seat Eagle Skylift? Or been hiking in Arthurs Seat State Park? If you have any questions, comments or corrections, please let us know in the comments below.